Some drink because they enjoy craft beer or have the so-called “acquired taste.” Others may drink because they encounter cues from their childhood related to drinking, according to a new study at East Tennessee State University. Gerald Deehan, Jr. is an assistant professor with the Department of Psychology, and he is leading a study about whether drinking during adolescence may lead to a future relapse if a person is exposed to certain conditions they associate with drinking. He said these cues associated with drinking from childhood are often the reasons alcoholics say they relapse. The cues are not always from personal experience drinking but also from being around others who drink. Laboratory rats used for the study are exposed to alcohol flavored with Kool Aid, according to Deehan. Chemicals released in the brains of the rats will be measured to see if alcohol presence changes the functioning of the rats’ brains according to the flavor cues and how those cues affect consumption of alcohol in adulthood. Rats in the study are approved by the University Committee on Animal Care. 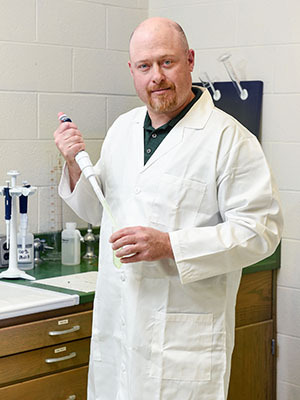 Deehan’s research is funded by $10,000 from ETSU’s Research Development Committee. This grant allows researchers to get pilot data in order to apply for other, larger grants. The research began in June 2016 and funds the study for one year. He hopes the study will be further funded after the pilot data is collected. He said his interest in studies like this one began during his graduate studies while studying animals raised to prefer alcohol or not.